Rihanna was spotted shopping in Los Angeles yesterday with her bodyguard in tow. 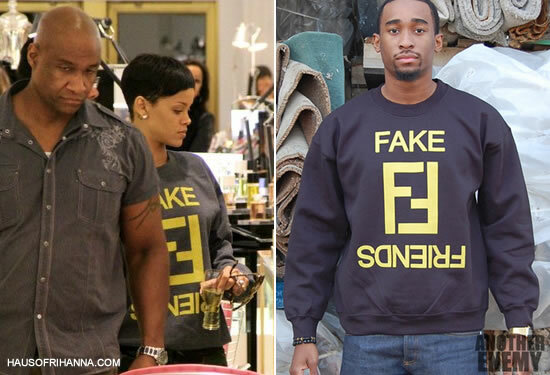 Rih wore Another Enemy‘s Fake Friends crewneck sweatshirt in black. The sweatshirt costs just $65 and is also available in grey and maroon.